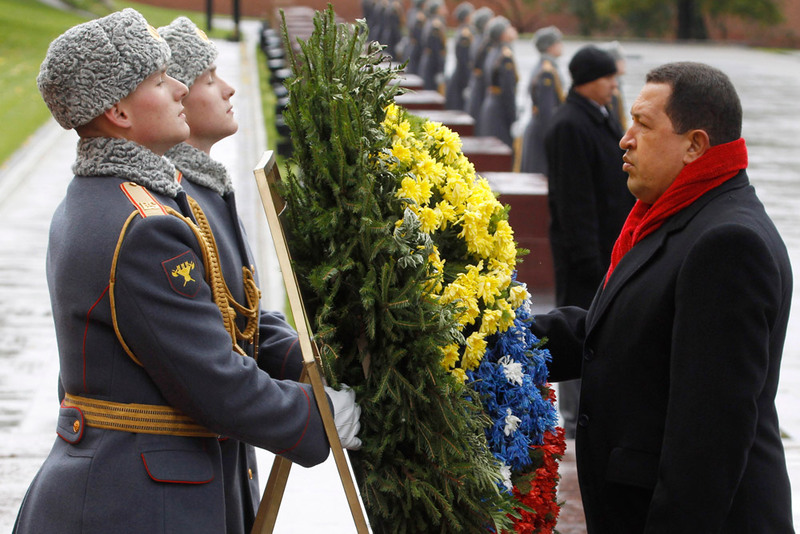 Hugo Chavez takes part in a wreath-laying ceremony at the Tomb of the Unknown Soldier in Moscow, Russia. October, 2010. // On March 6, 2013, Russian President Vladimir Putin said that Chavez was a close friend to Russia. Russian UN Ambassador Vitaly Churkin said that Russians feel very badly about his death.